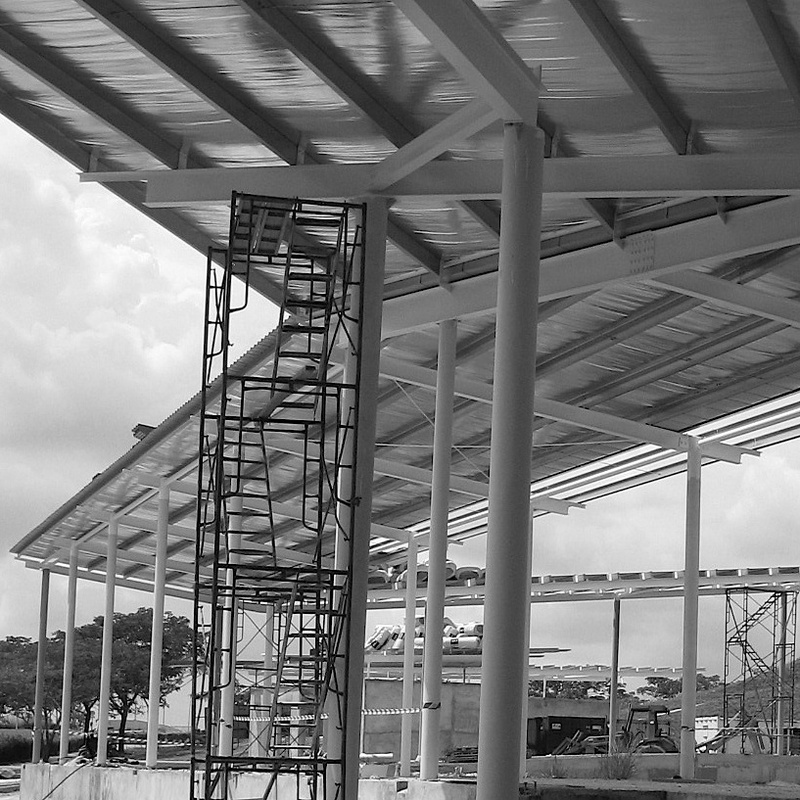 Steel Roof under construction at challenge park walkway, part of the works in the Skate Park facility. The current status of work suggest completion at the end of the year but that some of the facilities may be stalled subject to further review of the available budgets. The roof is now completed with more of the underside and lighting installed to correlate to requirements of the operators. We wanted a building that would age naturaly with the weather, given the abundant trees and the naturally undulating ground terrain, the specified architectural finishes should work well without much maintenance over the years, and the informal arrangement of columns, roofs and walkways should likewise help the building sit comfortably into the site.